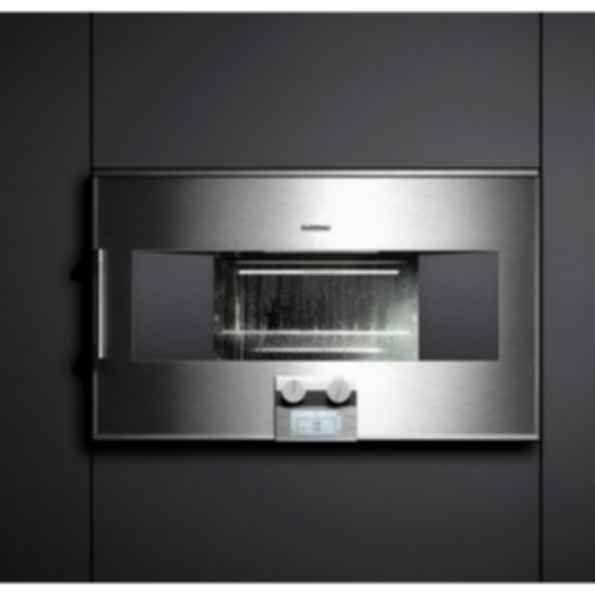 200 series Combi-steam oven BS 280/BS 281The BS 280 has a fixed water connection and drainage. Its five humidity levels can be combined with temperatures of up to 450F. Everything is therefore possible: steaming, baking, simmering, braising, regenerating, juicing, as well as grilling and gratinating.